This short multi will bring you to those scenic spots at the Peak, and no admission fee required for all stages. 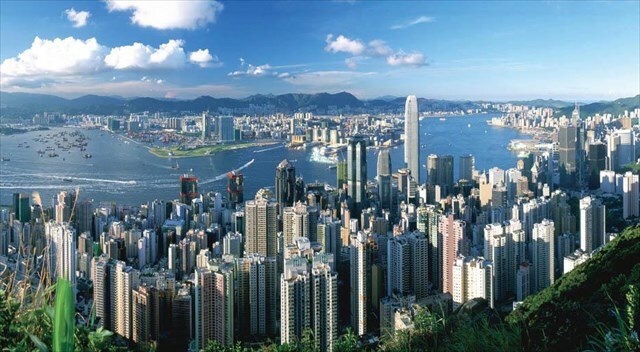 That view is also what makes The Peak one of the most popular attractions in Hong Kong. By day your eyes stretch across sparkling skyscrapers and Victoria Harbor all the way to the green hills of the New Territories. In early evening this panorama melts into pink and orange before reincarnating as a dazzling galaxy of light, shimmering beneath you. And if you listen carefully enough, you can hear Asia’s world city humming below. Substitute the red digit from those correct answers. 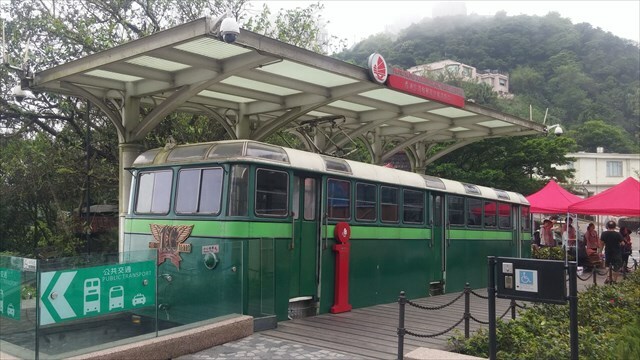 You will find an old green tram there, which is also the tourists center. How many tram doors are there? 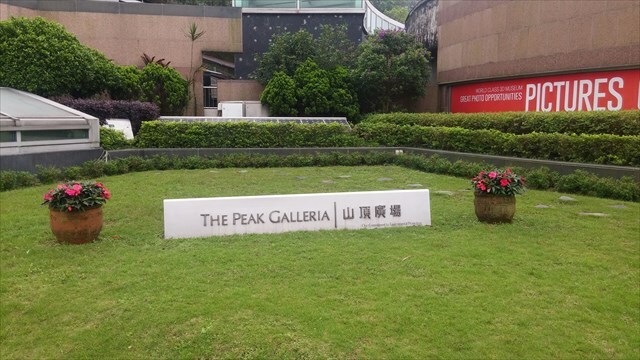 Green Terrace will close for maintenance for 2 yrs, before i re-visit and change the waypoint, the answer is "underlined"
Go up to the roof top of the mall "The Peak Galleria", you will find a small garden there. Green Terrace is an environment friendly system to reduce energy and water usage. How many barrel can you find there? Check the information board of Green Terrace, how many degree Celsius of indoor temperature does the system effectively lowered? At that waypoint, you can have panorama view of Victoria Harbor. At the map, how many QR code can you find there? How many observation telescope can you find there?